Meant to be simple, Simple Shopping List only records the name and quantity of each item. 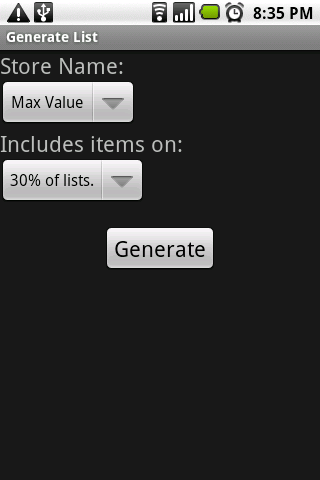 It allows the user to check off each item while shopping. Intended for situations like grocery shopping where we mostly buy the same things on each trip, you can generate a new list based on previous purchases from a particular store.